There are many organizations that provide certification for business analysts. A business analyst has the responsibility to collect data based on trends, patterns, and errors which have not been noticed by the organization. Business analysts can think on the business side of the organization and work with data accordingly. The estimated salary of a business analyst is $67,000 per year. In order to make a career in the same field, people can make a wise choice of pursuing training and certifications which are recognized globally. There are many Business Certifications which can help the candidates to enhance their capability and widen up their career growth. ECBA certification can be done through Institute of Business Analysis. It is an entry-level certification. The certification has been designed for those people who want to make a career as a business analyst or someone who has less experience and want to improve his analyst skills. The prerequisite for this certification is that the candidate should have the experience of 21 hours of training credit in order to appear in the exam. There is no need to renew the certification again but it will help a candidate to move to other levels of certification. People who need to take this exam have to pay application fees of $60. The exam fees for the members is $110 and for non-members, it is $223. If a candidate wants to retake the exam, then members have to pay $89 while non-members have to pay $195. As renewal is not needed, so there is no renewal fees. This certification is best for those who want to make their career in cloud computing. Many organizations need these professionals to manage cloud services. Research has estimated that this certification provides high paying jobs to the candidates in the US and Canada which can go up to $117,773. Research has also found that around 29% of organizations are in need of these professionals so that they can run their network on a cloud. Candidates who want to take this exam should have basic IT knowledge. After completion of the course and exam, the candidate can apply for the following posts. Cisco Certified Network Associate is a good certification for routing and switching, and people who want to make their career in networking can seek this course. The course will let the candidates know about various skills in planning, implementing, verifying, and troubleshooting the network solutions which can be simple or complex. Cloud technology has emerged as a new system of networking and people who want to make a career in this field need to take this course and exam. Skilled professionals are required by organizations who can look after their network and manage it. The course provides up-to-date knowledge to the candidates so that they can get a good job in a reputed organization. The course includes the following. In order to pursue this course, the candidate should have knowledge of network fundamentals and has experience in the implementation of LAN and internet connectivity. Project Management Professional certification is still one of the most prestigious certifications and was started in 1984. The certification is good for those candidates who want to leave the technical track and go on to a managerial one. The candidates who do this certification get more than average salaries. If another certification like CCNA or AWS has been done along with PMP, this becomes an additional advantage for the candidate. PMP is also popular because it is considered as the toughest exam because it is related to many things that are concerned with project lifecycle. CompTIA Network+ has been included in Microsoft, Cisco, and other companies that conduct networking exams. A candidate can make his career in troubleshooting, installing, and configuring basic network infrastructure after pursuing this exam can make his career in troubleshooting, installing, and configuring basic network infrastructure. The exam was launched in 1999 and many people have taken the exam for enhancing their career. CompTIA Security+ is a good certification for the people who want to go in the field of cybersecurity. People who do this certification get high paying jobs in reputed organizations. The prerequisite for taking the exam is that the candidate should have two years of experience as a network administrator. If people pursue, both Network+ and Security+ exams then it will be much beneficial; for them. ITIL ( Information Technology Infrastructure Library) is an entry-level certification and candidates get good salary after completing this certification successfully. This certification helps the student to learn about IT lifecycle and support business outcomes and manage risk when they are in a job. Microsoft certification provides high salaries to the candidates who do these certifications successfully. One of the popular certifications is MCSA, which should be taken by candidates looking for a career in data management. People, who do this certification, can efficiently work on Microsoft SQL Server. After pursuing this certification, candidates can pursue MCSE or MCSA Business Intelligence certifications. How to Prepare for Different Certifications? There are many ways in which people can prepare for certification. Here are the ways of doing preparation. The candidate should create a blueprint of the exam which is its outline. This will help the candidate to study those topics which carry good marks. This will also help to maximize the study time. The candidate has to review exam references in order to know the types of questions that can be asked in the exam. The references can be available online and the candidate can even take the help of those who have already taken the exam. The references will let the candidate know about the types of questions asked whether they are quiz type or long answer type. The candidate can prepare for the exam from the practice questions which are available in the book and also available online. This will help him to know the type of questions and the minutes to answer one question. This practice session will also help in revising all the topics learned. Mostly the practice questions are similar to the exam and practicing them will help him to answer the questions at a fast pace during the exam. After mastering the practice test, the candidate can take a self-assessment exam, which will help him to know which topics he has to revise. The candidate will be able to know his weaknesses and can improve them by further studies. Candidates can take various types of exams in order to make themselves efficient and get a good job in a reputed company. 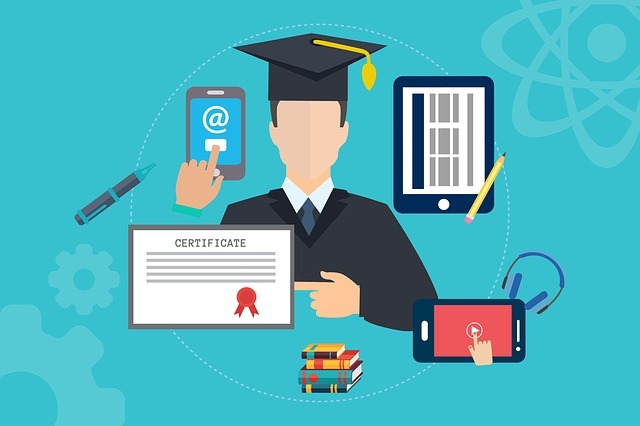 Students can prepare for these certifications through multiple methods. They can search for the content online or join a course for the same. They can also contact the other people who have done the certifications and take help from their experience.